We started from Split at 7 am and first we went to the town of Ston. 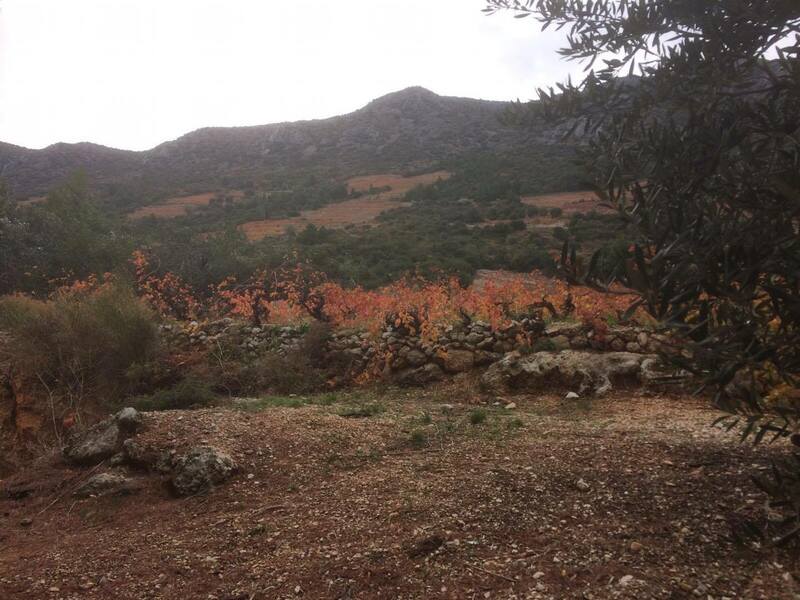 When we reached Ston, we hastily sipped our coffees and took up our all important wine glasses. 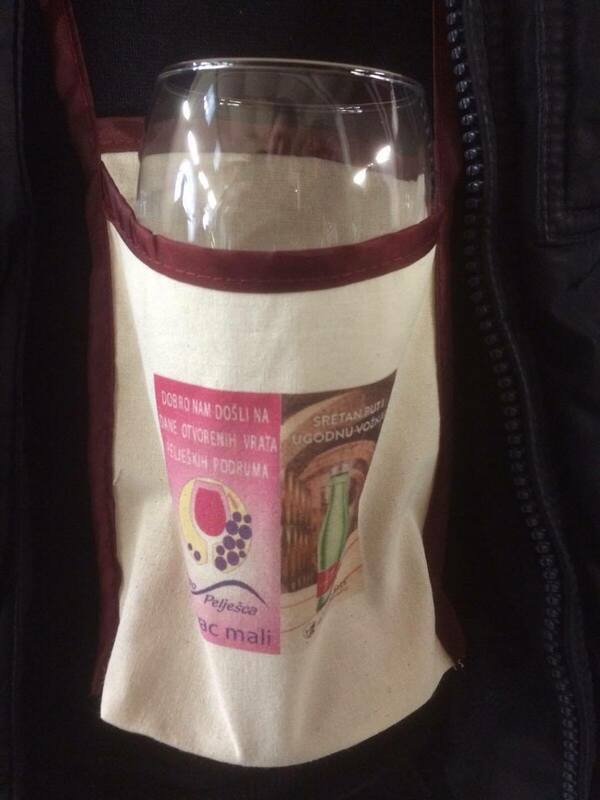 Your wine glass is the entrance ticket for this whole event so keep it safe!!! The event kicked off at 11 am with authentic klapa songs – traditional Croatian acapella singing. 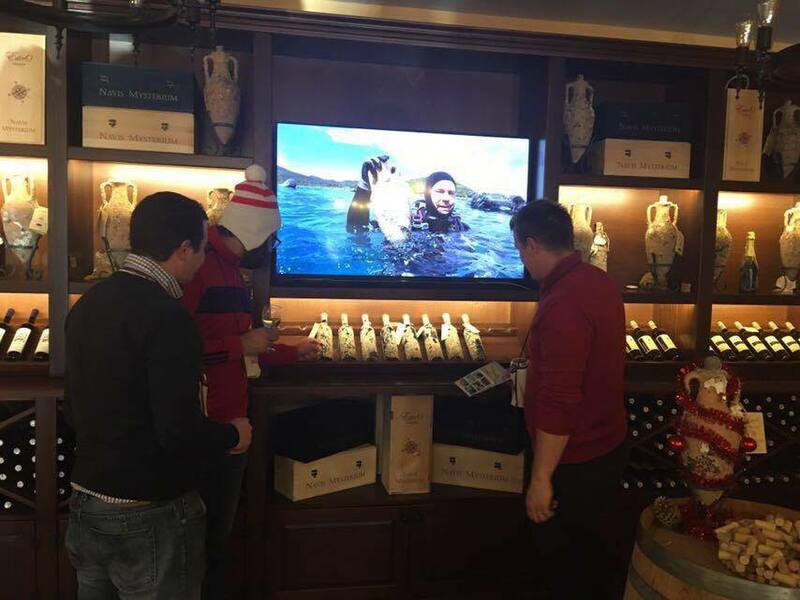 The wineries of Vlasic, Zeljko Ledinic, Bukvic and others presented their wines and they offered us unlimited wine tasting. 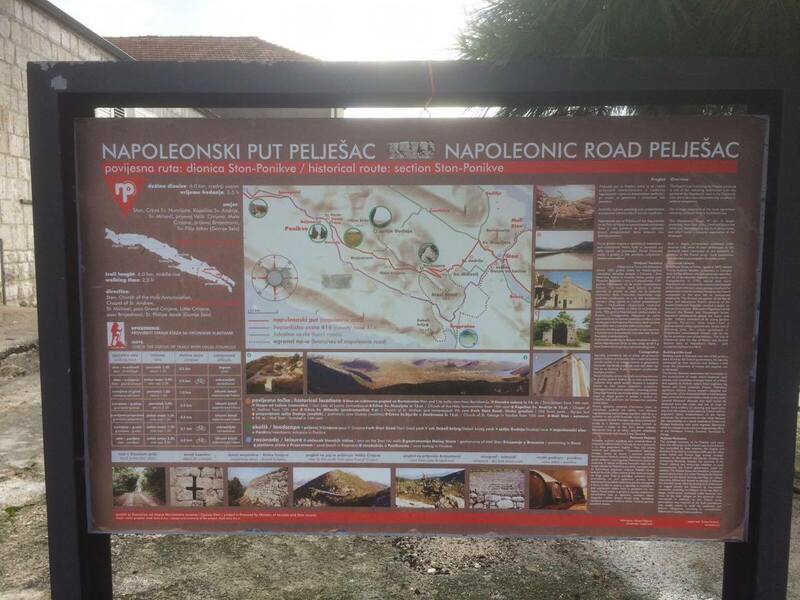 After getting acquainted with the program of the event our first stop was the village of Potomje, which we approached via the old Napoleon road. You will amazed by how the hardworking people live their daily lives on Peljesac, most of the land cannot be approach by tractor, but at each corner of the land there are olive trees and vines. In December you can enjoy the great tapestry of yellow and red autumnal leaves. The road was in good condition so we easily reached the wineries in the village of Ponikve. 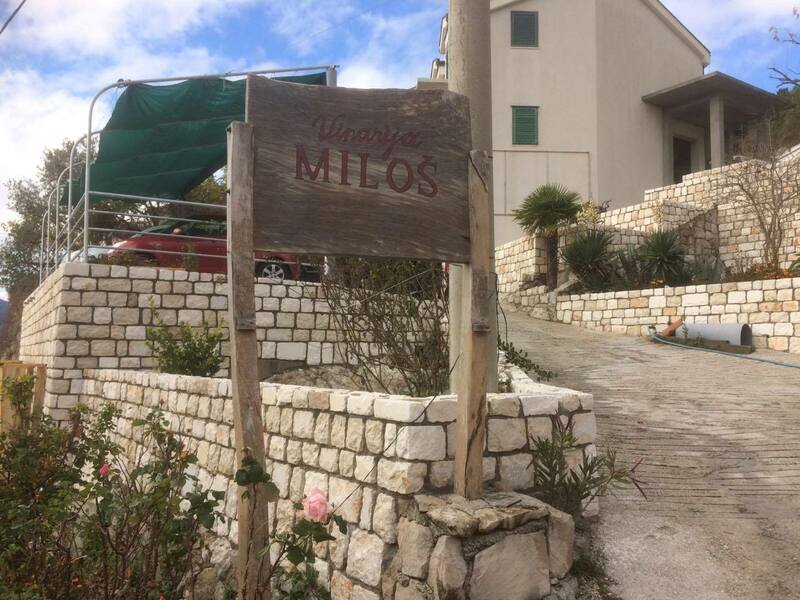 We went to wineries Marlais , Vukas http://www.vinavukas.com/, Ledinic and Milos . All of us were amazed with the quality of their wines, with the ladies in our team being particularly drawn to the Rose of Vukas winery. In all the wineries we were presented with copious amounts of authentic prsut(ham), usecereni bajami (almonds), cheese and lots of homemade cookies.Our old friends from Milos wineries welcomed us with their best wine Stagnum. It never disappoints!! On our way to the village of Janjina we stopped in the small village of Putnikovic. In the winery of Putnikovic we enjoyed a buffet breakfast with more great wine testing. We would recommend Lirica and Libertas wines. We were surprised that the hosts even prepared some wonderful grilled pork. The winery is impressive and certainly worth a see. After the winery Putnikovic and before Janjina we went to the winery of Edivo. These guys make undersea wines!!! The hosts prepared great canapes with stuffed paprika, anchovies and shrimps. Then this well fed crew finally arrived in Janjina. 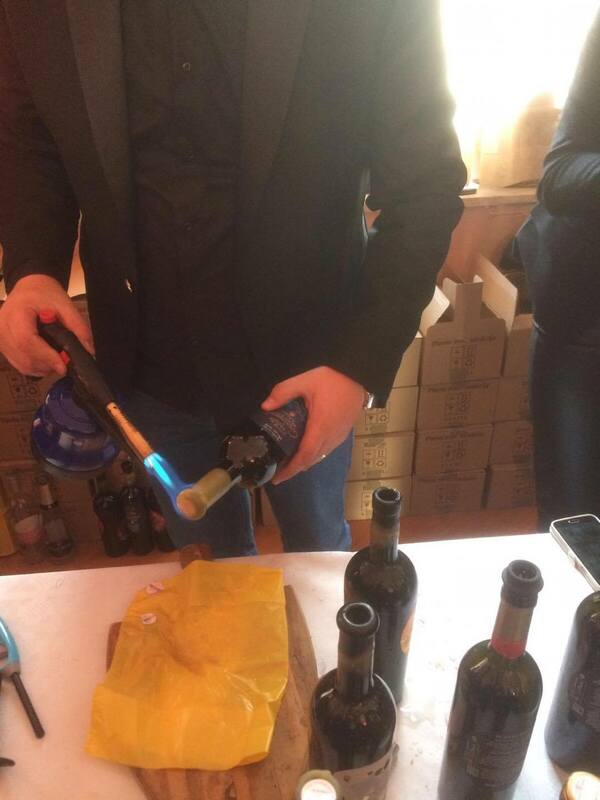 They provided lunch for all the guests, so we had an opportunity to taste their wine goulash with gnocchi. In Janjina we tried Grgurevic Bezek, and Kunjasic wines. We would recommend Grand cru Grgurevic (it’s a top-quality dry red wine made from the grape variety Plavac mali). Grand Cru, as the name suggests, is created especially with berries that allow clusters of Plavac mali to develop all their potential and produce a deep flavour. From the exceptional position of the vineyard “Kriva njiva”, late-berry and long-lasting blending and fermentation in “barrique” barrels, this Plavac wines has the aroma of dry fruits and is harmoniously complemented with vanilla notes and oak caramels i.e. Bezek Plavac mali. With very full stomachs we arrived at the village of Potomje: a small winery with 2 big cellers. First on our list was the Milicic celler. This family runs a great restaurant, and next to the restaurant is their winery. On entering you cannot believe how huge it is and when you enter you can easily lose yourself. We spoke with the hosts who they think that they will finish this project in 2 years. 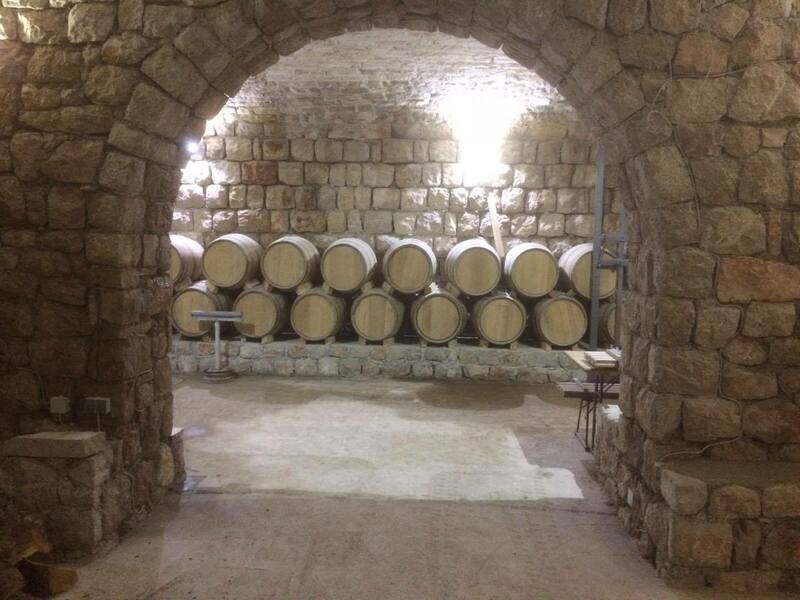 This celler is not finished yet. This winemaker has great potential, and when he finishes his project this will be an extraordinary celler. As we were coming from Diocletian’s city, Split, it reminded us of our own Palace. If we are to compare Milicic with the Emperor Diocletian then it would be unfair to not mention Matusko. 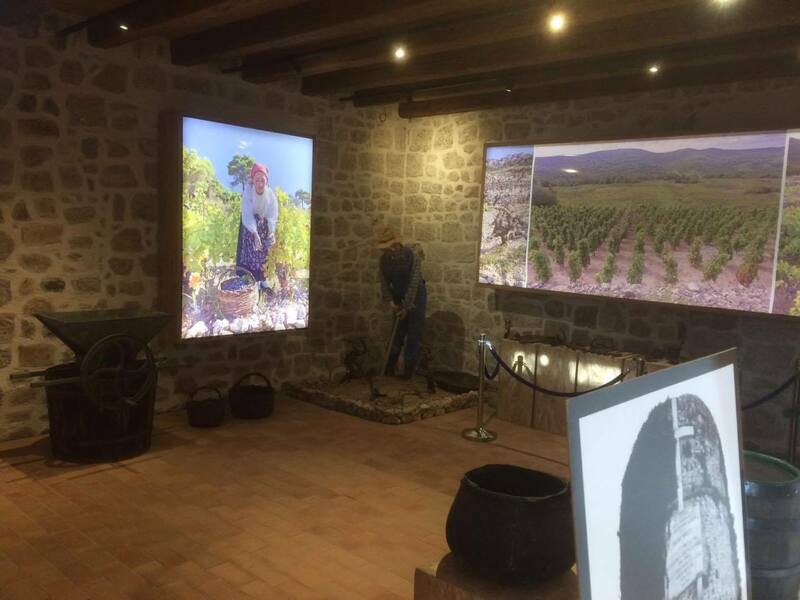 We were suprised that this little Emporer Diocletian from Peljesac had made such a big impressive cellar, and it looks great. To be honest after Milicic and Matusko it was a challenge to continue as we were fully imbibed!! Our last winery was Madirazza and Boris Violic. Boris Violic made a small presentation of his wines and told us more about the viticulture of Potomje, Dingac and Postup wines. Plavac Mali (Croatian pronunciation: [plǎːʋat͡s mǎli]), a cross between Crljenak Kaštelanski (ancestral Zinfandel) and Dobričić grapes, is the primary red wine grape grown along the Dalmatian coast of Croatia. The name refers to the small blue grapes that the region produces – in Croatian ‘plavo’ means blue; ‘mali’ means small. Plavac Mali is known for producing rich, flavorful wines that are high in both alcohol (typically 12% but up to 17%) and grape tannins. Common flavours and aromas include blackberries, dark cherries, pepper, and spices. Croatian wines from this grape include the reds from Dingač and Postup on the Pelješac peninsula, Hvar island, Brač island, and the rosé Opol (a vinification style). 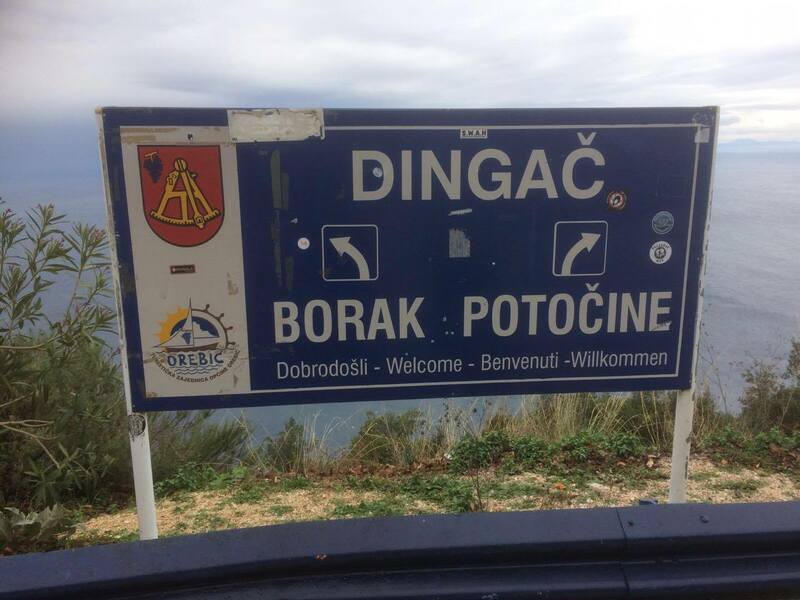 We were lucky as we had made a reservation in a great villa just a 10 min drive through the Dingac tunnel – a taxi or sober driver is required!! The villa is situated on the Dingac slopes in Borak village. 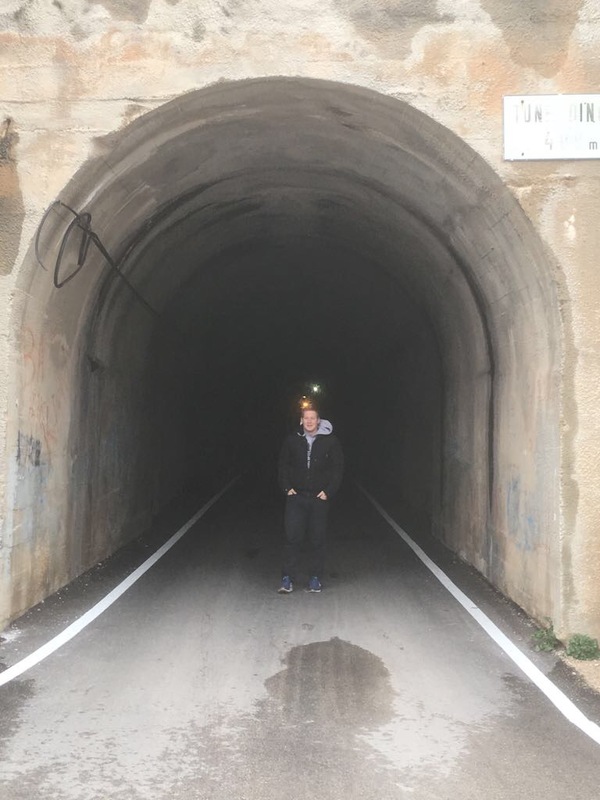 The next morning we passed through the Dingac tunnel again, passed down Napoleon’s road and went back to Ston . We took a really interesting walking tour of Ston and came back in Split – a little tired you will understand but having really enjoyed ourselves. Be sure, we will be leading a tour here next year… we will have 18 seats available so all you wine lovers who enjoy a fantastic party make your reservation early!! !